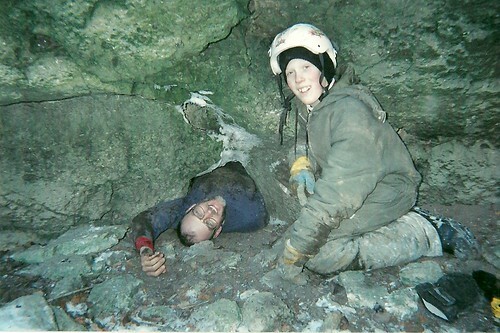 Well – You might wonder what any of these topics have to do with caving – not much I guess except its on my caving blog. I’ve been on a train the trainer course for the last few days in Etobicoke at the THSAO, now amalgamated with several other companies under a larger company that is somehow linked to both the Government and the construction industry. The quality of instruction is outstanding (thanks Ivan!) and the end result is that I will have completed a course in principles of instruction (POET). Being in health and safety for a living, I would suggest the course to anyone who teaches for a living. After this initial 3 day course I am then taking their reach truck instructors course. I did my practical presentation today – that went OK, glad to get it done with as it’s always a little stressful when you are being judged. I taught on the 4 basic principles of a safety culture. 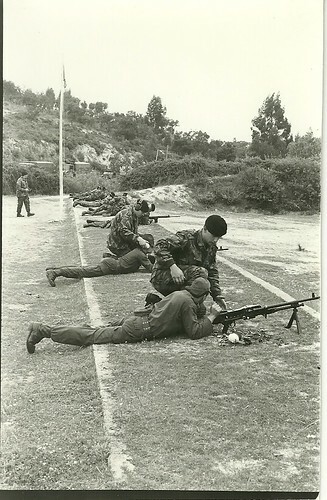 As you can see by the above picture (me kneeling in the foreground, I think I’ve got instruction in my blood. 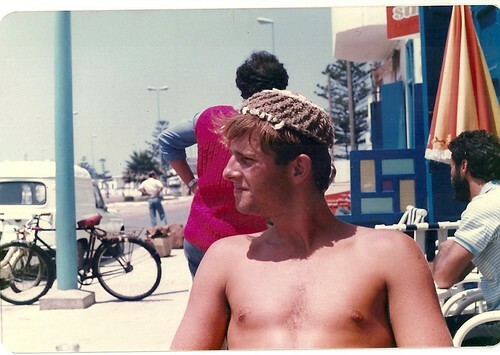 This was 25 years ago when I was a British soldier. 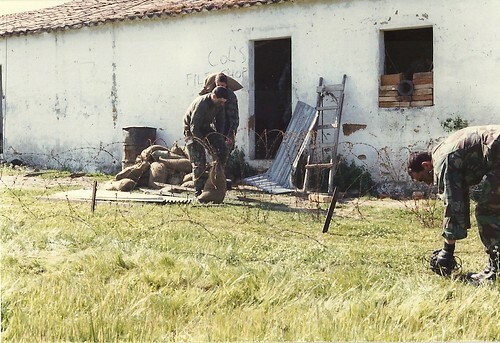 As you can see, I am teaching the use of the GPMG to the soldier of another country (guess which one). This guy just couldn’t grasp the concept of 3-4 round bursts – then again it was hard to explain as neither one of us spoke the same language. I remember that I physically grabbed the belt and broke it off when he went Rambo on me. The rounds were going everywhere. Last time I looked this little tunnel was under water. At the time that myself, Marcel, and his nephew visited the Rockwood area it was mid winter, there was a faint breeze coming out of this hole and small ice crystals were forming on the topside of the tube. In Rockwood the strata dips downward to either side of the valley at a pitch of 7 degrees and it was for this reason that we suspected this tube might lead on to something deeper in. Water seeps down this hole (slowly) and in the direction that it initially leads off there is another valley about 300 meters away running parallel to this one. Marcel squeezed in with only the soles of his boots filling the entire entrance and soon those were gone as well. The picture shows Marcel on his return journey. He managed to turn around inside. I guess at one time a significant stream used to disappear down here – the channel leading up to the depression would suggest that. According to Marcel, there is a chamber some distance in – with well formed soda straws. The breeze is blowing from a hole in this inner chamber. I would not fit down that hole and I would not even try. We had initially thought to approach the property owner with the idea of allowing us to dig to widen the entrance and tube. A significant amount of digging had actually widened the main caves in Rockwood to their present size (see my book Rockwatching for details on that)(You can only buy it second hand on Amazon now). IMG_8289-1, originally uploaded by Mic2006. I just got back from SNAFU’s which is always interesting and you never know what kind of stuff hes gonna hit you with. He open’s the mind to some really outside the box ideas. Ask me about his musical invention “The Pneumungaphone” one day. Today it was chamomile tea and dried seaweed as a snack. “What is it that captures the essence of SNAFU? I asked intending to take a picture. He opened his kitchen draws to find some kind of cooking implement to explain the core of his inner being. No, that didn’t do it – he’s an artist in the disguise of a mad genius, or possibly a mad genius disguised as an artist. Anyway, you might wonder where I got a title like “Man beats hyena with a bone – look at the album cover, there is this guy there with a bone and a muzzled hyena. I’m not sure whether the thing is a pet or a captive that he beats to amuse himself when bored. SNAFU started at Uof G around the same year as me and though neither of us were particularly well suited to formal education we both scraped through and he’s now finishing his PhD. in chemistry after spending years in Japan as an English teacher. This record in SNAFU’s hand is called “Lagos Shake” and though I didn’t have the faintest clue as to anything about it SNAFU introduced the album with , “Well presumably you know the basic story (and I was all ears as I had thought he was going to explain the man and the hyena) “It’s a lot of electronic producers re-mixing Tony Allen stuff. “He was one of the drummers for Fela Kuti – a veritable god in African music”. In the background there is this sound like an angry beehive that is slowly sinking in a pond and bubbling. I believe that was “Flying Lotus”, a group according to SNAFU that plays abstract hip hop. “I thought you might like it, the vocals are from Gonjasufi, but they changed it so much you’d never recognize it as Gonjasufi. “This stuff is similar to “Gas Lamp Killer and the reason that I’m telling you about them both is that Gonjasufi works with both of them and they all had a role in producing this record”. Listening to a little Flying Lotus and leafing through his collection SNAFU suddenly shouts out “Oh, I love this record, it’s not bizarre but he did a great job anyway”. It appears that the artist is Losfeld and his album is called “Gospel” and “not bizarre” is only a matter of perception.The music starts normally and then gets bizarre with flute trilling in the background and this vocal like the guy is chanting something down a toilet role. I was assured that “Non” would be entertaining – and that it was. “It’s spoken of as easy listening for those who’re hard of hearing. 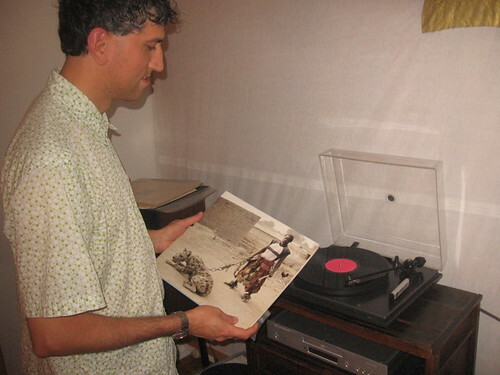 Here, I’ll just drop the needle wherever”. I only hear this roaring sound that instantly reminded me of the sound before my first parachute jump – a ripping of wind and flapping of coveralls and terrible anxiety as to whether the thing would open. I don’t like your “Non” lets head off before the Albion fills up”. This is me in a small side tunnel of Friar’s Hole in West Virginia. Some years ago I went down there with the Toronto Cave Group. We camped in a valley below Droop Mountain and made several forays into the system. On one of those days I did a solo side trip in through the Snedgar’s Saltpetre entrance while most of the other cavers were doing a shaft somewhere off at the edge of a farmer’s field (it dropped into a section called the “Cobble Crawl”. The tunnel’s are massive – way bigger than anything yet known in Ontario and during the Civil War slaves had kept digging in the accumulated bat guano to keep the South supplied with Saltpetre. I always wonder how many of those poor people disappeared into the darkness never to return. Anyway I got back to the camp sometime in the afternoon and two cavers who had not been with the other group asked if I wanted to join them on another trip back through the Snedgar’s entrance. Typically, not wanting to feel responsible for the actions of others who were possibly less experienced than me, but more ambitious – I declined. 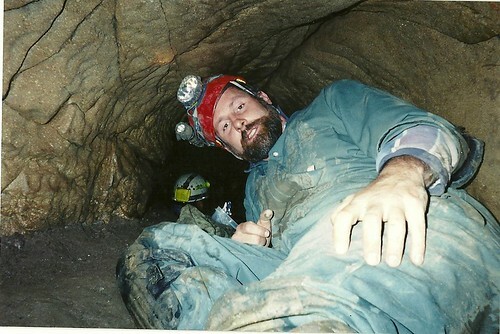 Later that night (around 11pm) it occurred to me that the two cavers that had invited me on their trip had not returned. The Toronto Cave Group (TCG) were fortunate to have several highly experienced cave search and rescue people who were members of the club and who were also on the trip so search teams were quickly organized and we started hitting up the likely locations where we thought the lost cavers might be stranded. Several American cavers who were returning from the cave joined us and assured us that they could set a call out process in motion and have at least 200 cavers from nearby grottoes there by morning (if things still were unresolved within a few hours). Incidentally Friar’s Hole is endless, literally one of the most extensive known systems in the world. As one experienced American caver pointed out – “Some tunnels nearby will take you quickly deep into the system and from there you are lost forever”. Our approach in searching was to target the area that could be most easily reached and we would blow a whistles down the bigger passages and listen for a response. Fortunately we got a response within a half hour and shortly after that one of the two cavers came hurrying into our headlamp beam – so fast in fact that she dropped down a relatively deep hole between us and came steaming up the other side without a pause. Most would have considered that a relatively serious fall, but she seemed to not even notice it. The two cavers had got lost in the Saltpetre Mine in amongst the old mining implements. We found the second caver sitting on a ledge – having eaten all his granola bars he just seemed kind of dazed. The cavers had climbed down into a passage through a hole in it’s roof and when it was time to return, there were a myriad of possibilities down around eye level – the hole in the roof had entirely been forgotten. When we blew our whistle at the entrance to the passage the energetic caver had headed in that direction and eventually seen some kind of faint light from the hole above her. Needless to say, there is a lesson here and that is to know that as confident as you might feel you gotta know your limits. Inexperienced cavers without a fear of consequence can quickly find themselves in a whole world of trouble. 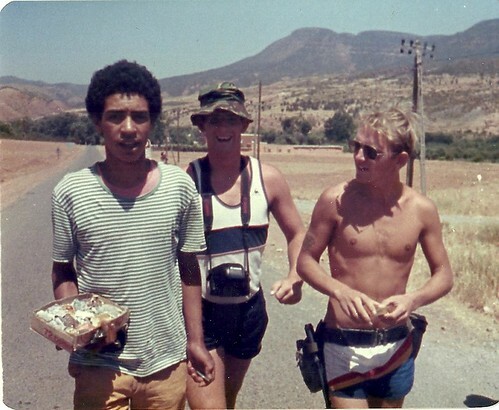 Here I am in Asni Morocco, Joe is to the right of the picture, Mohammad is to the left. You may notice in an earlier blog that I wrote about Mohammad and the evening that we spent with him and his little brothers in one of those mud-walled Berber dwellings. Here he is at his job – selling crystals beside the road. We learned from Mohammad that he got his crystals from a valley near there – a hidden wrinkle in the dry red hills that was absolutely lined with amazing crystals. Several of us hiked up into the mountains the following day and found the valley that he told us of. At the time I did not know a great deal about crystals, gems or geologic wonders and I assumed because of their color the crystals must have been amethyst. I recall the rock from Thunder Bay and to me this rock from Asni looked pretty similar. I took several large clusters of crystal with me, but as they weighed my pack down I eventually discarded them somewhere in the sands at the edge of the ocean or down toward the Sahara. In thinking about it and knowing more (with the aid of the internet) those crystals must have been aragonite. Asni is well known for this crystal. Aragonite is a pseudomorph of calcite. This means it has the same chemical formula, but the ions are packed differently. Apparently if aragonite is heated at 400 degrees it reverts to calcite. The color that I have seen on the internet is identical to what I remember seeing in Morocco, varying from a fruity, brownish purple through to relatively milky and in the quantity that I saw, it was like an Aladdin’s cave of gems. Mohammad had several species of rock with him, I only remember that one place he sent us to.